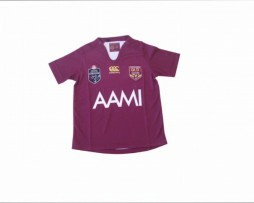 Kiwi’s now have something to be Maroon and blue about! The caps are adjustable and sublimated in team colours! Flashback shorts – cotton like the old days! Great for work. I’m Out of Your League ladies t-shirt. 65% Cotton and 35% poly – nice quality fabric. Printed in your favourite State of Origin team colours!